On the 8th (Tue), identify plant and animal life at Castlecomer Discovery Park, then explore the historical opulence of Kilkenny Castle, then take in the spiritual surroundings of Capuchin Friary, and finally contemplate in the serene atmosphere at St. Canice's Cathedral & Round Tower. For ratings, photos, traveler tips, and more tourist information, read our Kilkenny trip planner. Sydney, Australia to Kilkenny is an approximately 27-hour combination of flight and bus. You can also do a combination of bus and flight; or do a combination of train, flight, and bus. The time zone difference moving from Australian Eastern Standard Time (New South Wales) (AEST) to Greenwich Mean Time (GMT) is minus 10 hours. In January, Kilkenny is much colder than Sydney - with highs of 9°C and lows of 4°C. Wrap up your sightseeing on the 8th (Tue) early enough to drive to Killarney. 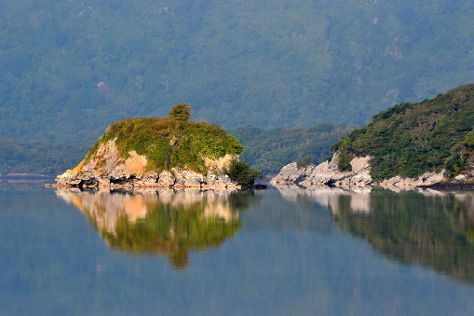 On the 9th (Wed), explore the wealth of natural beauty at Killarney National Park. For more things to do, where to stay, and other tourist information, read Killarney online journey planner . Getting from Kilkenny to Killarney by car takes about 2.5 hours. Other options: take a train; or take a bus. January in Killarney sees daily highs of 10°C and lows of 5°C at night. Wrap up your sightseeing on the 9th (Wed) to allow time to drive to Liscannor. Liscannor is a coastal village in County Clare, Ireland.GeographyLying on the west coast of Ireland, on Liscannor Bay, the village is located on the R478 road between Lahinch, to the east, and Doolin, to the north. On the 10th (Thu), enjoy the sand and surf at Lahinch Beach, then enjoy the sand and surf at Spanish Point Beach, then trek along Hag's Head, and finally stroll through Cliffs of Moher. To see photos, traveler tips, maps, and more tourist information, refer to the Liscannor day trip planning site . Traveling by car from Killarney to Liscannor takes 2.5 hours. Alternatively, you can take a bus; or take a bus. In January, daytime highs in Liscannor are 10°C, while nighttime lows are 4°C. Finish your sightseeing early on the 10th (Thu) so you can drive to Galway. 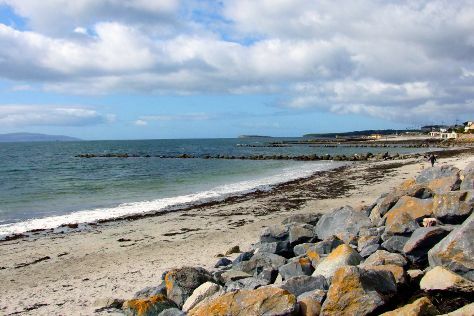 On the 11th (Fri), take an in-depth tour of Galway City Museum, kick back and relax at Salthill Beaches, then admire the masterpieces at Galway Arts Centre, and finally get to know the fascinating history of Riverside Walk. For traveler tips, where to stay, reviews, and other tourist information, read our Galway trip itinerary builder app . Traveling by car from Liscannor to Galway takes 1.5 hours. Alternatively, you can take a bus. Traveling from Liscannor in January, you will find days in Galway are a bit cooler (7°C), and nights are about the same (2°C). Finish up your sightseeing early on the 11th (Fri) so you can go by car to Dublin. Get some cultural insight at Kilmainham Gaol and Saint Patrick's Cathedral. You'll explore and learn at Dublin Castle and National Gallery of Ireland. Spend the 15th (Tue) wandering through the wild on a nature and wildlife tour. There's lots more to do: make a trip to Temple Bar, see the interesting displays at Croke Park Stadium Tour & GAA Museum, steep yourself in history at Trinity College Dublin, and admire nature's wide array of creatures at Dublin Zoo. For photos, traveler tips, maps, and other tourist information, use the Dublin trip planner . Traveling by car from Galway to Dublin takes 2.5 hours. Alternatively, you can take a train; or take a bus. January in Dublin sees daily highs of 9°C and lows of 2°C at night. You will have some time to spend on the 17th (Thu) before leaving for home.